We help you deploy Microsoft Technologies quickly and effectively so that you see return on your investments faster and more efficiently. We provide customized solutions to clients as per their needs. Our services include but are not limited to Governance Planning, Business Strategic Support, Development and Maintenance. Irrespective of their size or industry type, almost all kinds of businesses today employ Microsoft Technologies, therefore highly professional Microsoft consulting service providers are in much demand. Outsource2india's reputation as a promising Microsoft consultant amongst leading businesses is an upshot of our decades of experience and immaculate expertise in Microsoft Technologies. We offer customized solutions for business specific needs, and our IT consultation in Microsoft technologies is not only limited to the services mentioned above. It also includes Business Strategic Support, Governance Planning, Implementation & Development, and Maintenance among others. Right through Application Development to Augmenting IT teams, we have reached out to a vast number of clients touching every aspect of Microsoft solutions, and are capably placed as a single point resource for all Microsoft-based solutions. We offer complete consulting solutions for any Microsoft technology requirement with the help of our expert team of certified Microsoft experts. We can help you with Planning, Implementation, Integration, Upgrade, Migration, and Customization of any Microsoft tool you are planning to invest in. With deep knowledge of SQL server, Exchange server, Windows server, messaging systems, Unified Communication Systems, and other Microsoft tools, we can device a customized end-to-end solution for all your business needs. SharePoint consulting and customization is a precious feather in our Microsoft consulting cap that allows us to provide best SharePoint implementation for your business. We can help you realize a wide range of SharePoint capabilities, such as having a solitary infrastructure to coordinate with numerous business portals, single point access to social communities, simplicity in content management, accessing business insights to leverage decision-making, etc. Hire our dedicated Microsoft SharePoint consultants to optimize your processes and encourage greater collaboration across your organization. Our Microsoft Exchange Services take interaction to the next level. We help you design and deploy integrated communication strategies with our proficiency in Microsoft Exchange Server, Live Meeting, Microsoft Lync 2010, and mobility tools. Our Microsoft Exchange consultants develop solutions that boost collaboration potential of your organization. Optimize the flow of information across your organization and enhance enterprise reporting capabilities with advanced Business Intelligence and Data Warehouse (BI and DW) solutions. Our Microsoft consultants have the expertise in DW cube development and implementation. Further, they ensure that Microsoft BI and DW implementation is customized to your business needs, and that Precise Reports, Dashboards and Alerts are delivered on time. Microsoft Dynamics CRM is a unique tool that integrates your sales, customer service, and marketing touch points and provides a holistic view of your customer interactions. So, get a 360-degree view of Customer Relationship Management (CRM) services with O2I's expert Microsoft Consultants. 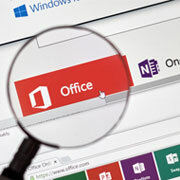 Operate your business in the real time by taking it on the cloud with Microsoft Azure and Microsoft Office 365. It effectively streamlines business Data, Processes and Content, so that whether you are in cloud, or on premise, your communication and collaboration stay seamless. We help you run your Microsoft implementations like well-oiled machinery. Our Microsoft consulting services team has deputed industry's best talents who have worked closely on varied Microsoft platforms, are aware of the latest technical standards, and hold professional Microsoft certification. Their in-depth expertise in Technical, Function, Architectural, and Implementation aspects is a valuable asset in offering consistent maintenance and support. Employing novel ideas in IT consultancy services, our focus largely rests on three key areas- Resource Optimization, Cost-Effective Solutions, and Risk Minimization. We have guided over a thousand global implementations of Microsoft technologies in almost all industry verticals and helped our clients stay afloat in the competition. Contact O2I to outsource Microsoft consulting and get access to our Microsoft certified professionals that can scale up your projects cost-effectively.